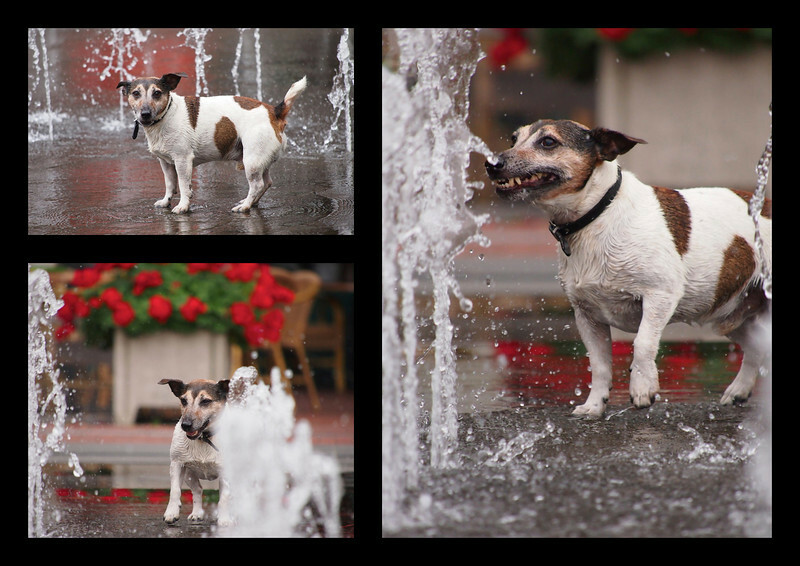 This dog runs and barks all the time against the rays of the fountain. The rays vary in height constantly. His owner tells that he does the same at sea. The dog believes that his barking is responsible for the retraction of the waves and the variation in height of the rays.